I love reading case studies. I find them so helpful when it comes to growing my business. And especially when it comes to growing an Instagram following. When it comes to Instagram, you’ll know there are some businesses experiencing stunning success with it. I wouldn’t call it overnight success, but it’s not far off. Grow a large Instagram audience, build a rapport with that audience, and sell to that audience. Sounds attractive to any new business, doesn’t it? 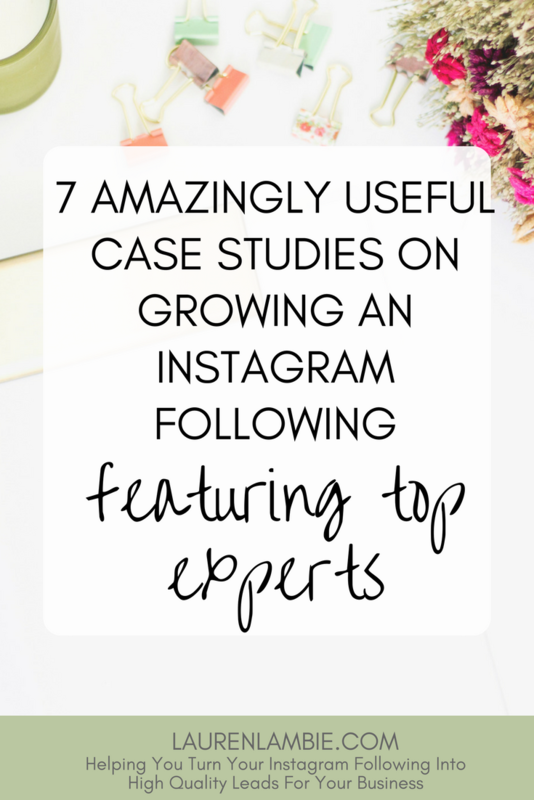 In this blog post, I wanted to share with you my 7 favorite case studies on the web for growing an Instagram following. 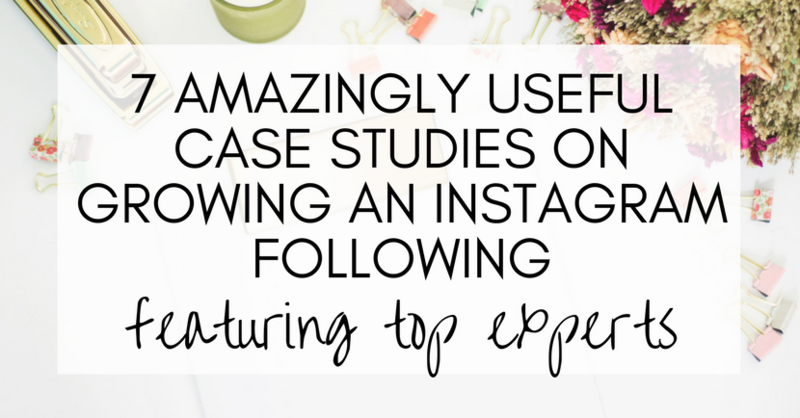 These case studies have helped me build my own business using Instagram, and hopefully they can help you too. Oh, and I’d recommend bookmarking this page so you can return later if you need to. Some of these case studies are lengthy reads (but well worth it, I promise). Nathan is truly one of the must-follow experts when it comes to growing an Instagram following. How he’s grown his Foundr Instagram account for his entrepreneurial magazine is just phenomenal. This guy knows his stuff, and there are lots of great takeaways in this case study. Well worth a read. Grace has a beautiful Instagram account. It’s the type most of us dream of, with gorgeous photos in stunning location settings. She’s very authentic, and if you want to grow your account as organically as possible, her case study is the one for you. She offers some great, practical advice that’s easy to follow. It’s also a very inspiring article to read and will fill you with ideas and dreams of what you could create with your own Instagram account. I love this blog and I bet you will too. This case study is an easy read and there is so much to learn. Brie is very honest here about the work she did to grow her Instagram following. There is also plenty of data to show her growth rate. If you’re struggling with growing your Instagram brand this is a case study that will inspire you and show you that it is possible. And Brie’s strategy is a very good way to achieve it. I love Neil’s case studies on his blog, because he is always one for experimenting. That means his case study is full of data to back up everything he is saying. 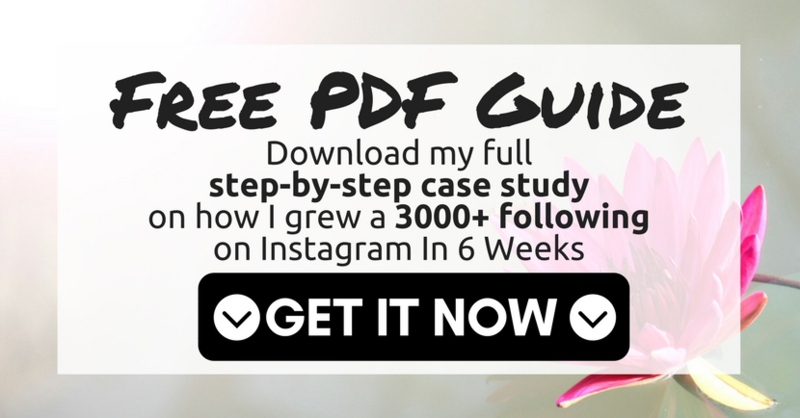 One of the reasons I love this case study is that he offers a set of tasks that you can do on a daily basis to grow your Instagram account. That’s very useful, because half the challenge with Instagram is just being consistent and keeping a daily presence on the platform. Once you do that, your account will grow by itself. I wanted to include a brand in this list as most of what I’ve covered so far are efforts by marketers and bloggers. You’ve no doubt heard of Nordstrom. What’s interesting about this case study is how they use influencers to grow their Instagram brand. That’s one of the best strategies you can use on Instagram and they’ll show you exactly how to do that correctly. I don’t know about you, but sometimes it can be overwhelming reading case studies that refer to hundreds of thousands of followers. Sometimes, you just need a case study that helps you when you’re just starting that. Adam May has done just that, and written an excellent study of how he grew a travel-themed Instagram account from 478 to 2690 in 14 days. If you are just starting out on Instagram, this is a good article to learn from. My last recommended case study is from Jan, on Weekhack. It includes a list of action steps you can take to follow this strategy. (I personally find action steps are always useful when I’m reading case studies as they can be overwhelming the first time you read them). This is a good case study to read if you’re currently building your list, as it goes into detail on how to do this using Instagram (the results are pretty impressive, too). Well, I had to cheekily squeeze in my own case study here, didn’t I! I actually ran my own Instagram experience. I grew a new account from scratch. It isn’t my main account; it was a dedicated Instagram profile that promoted a single affiliate product. In the case study, I go through all my results (including the earnings I made on affiliate sales) during those 6 weeks, as well as the steps I took to get there. This was my first real attempt with Instagram and I was blown away with the results I managed in such a short space of time. I personally think there’s a lot of useful information here, but of course you can judge for yourself. It’s also available for a PDF download so you can grab it now and read it later (useful if you’re anything like me and rarely have time to read all the business articles you want to read, and then forget to read them later).